South African startups Invoiceworx, Empty Trips, CommuScore and Muzi have been named the winners of the Johannesburg pre-selection round of the South African leg of the Seedstars World competition, and will advance now to the country’s grand final. 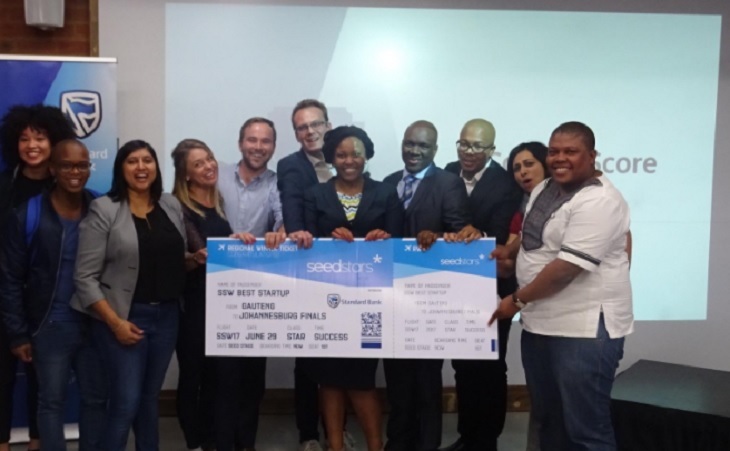 This year, Seedstars World is running satellite events in Johannesburg and Cape Town – on June 8 – ahead of the main South Africa finals, to be held on June 29. The overall winner will take part in the global final in Switzerland next year, giving it the opportunity to pitch for up to US$500,000 in equity investment. After 10 startups pitched to a panel of judges, four startups from Gauteng were chosen to advance to the grand final. They are inventory financing platform Invoiceworx, smart transport marketplace Empty Trips,savings and loans startup CommuScore, and e-health startup Muzi. The other startups invited to pitch were Arcus Capital, BeaconWorx, Powershare, WiPo Wireless Power, Easy Equities and Lenoma Legal. The 10 startups pitched in front of a jury that consisted of John Campbell, head of EDGE at Standard Bank, Floris Buys, head of the digital business unit at Telkom Digital (SpliceWorks), Thabo Ncalo, managing partner of Savvy Venture Partners, and Claudia Makadristo, regional manager at Seedstars World. “Our congratulations to the first round of finalists. We are proud to be partnering on an initiative that recognises the innovativeness of entrepreneurs across South Africa and we are thrilled with the quality of submissions, the pitches of the entrepreneurs and the winners of the first leg. We look forward to welcoming our second group of finalists in Cape Town on the June 8,” said Jayshree Naidoo, head of incubator at Standard Bank, which sponsors the event. Makadristo said Seedstars had seen an increase of more than 50 per cent in the number of applications, and was impressed by the quality of startups in Gauteng. “We are heading to Cape Town now, and I believe it will be a tough choice this year to pick the winner as we have so many good ones already,” she said. Applications are still open for the Cape Town event.